Young Kim, a Republican, and Gil Cisneros, a Democrat, debated on Inside OC with Rick Reiff. 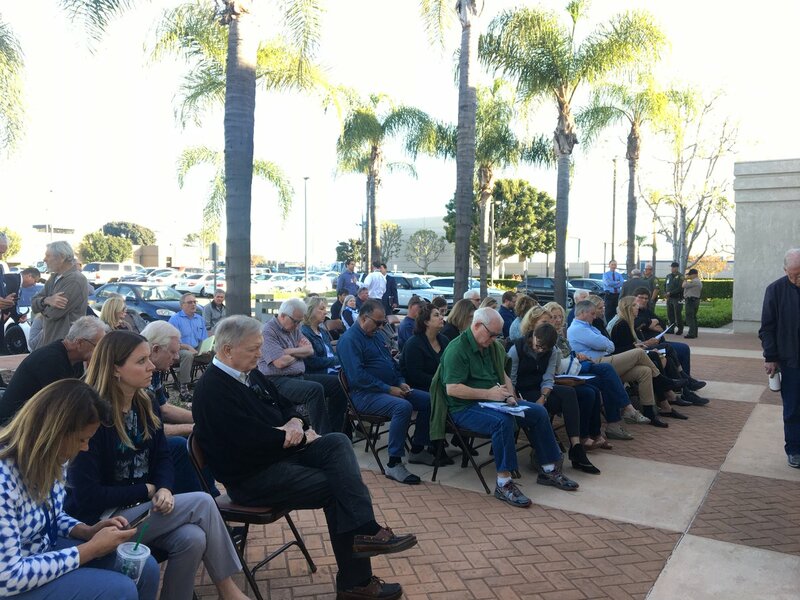 Former President Barack Obama has campaigned here, both political parties are spending millions of campaign dollars here and no wonder – Orange County is at the center of national politics. Four local House races could determine control of Congress and even the fate of the Trump presidency. Republican National Committeeman Shawn Steel and Chapman University political science professor Michael Moodian analyze the candidates, issues and possible outcomes. The races pit Young Kim against Gil Cisneros, Harley Rouda against incumbent Dana Rohrabacher, incumbent Mimi Walters against Katie Porter and Mike Levin against Diane Harkey. Part two of a discussion with California state senator John Moorlach. He discusses efforts by federal Judge David O. Carter to deal with the homeless problem and accuses Orange County Supervisor Todd Spitzer of playing politics with the issue. He also explains why he decided not to run for governor — and why he isn’t endorsing either of his fellow Republicans who are running in the primary. Barry Arbuckle, CEO of MemorialCare Health System, is in the trenches of healthcare delivery. He runs five hospitals and about 200 other centers, doctors offices and other locations. He’s an adviser on both state and national healthcare policy. He discusses what’s happening in health care in Orange County, California and the nation, assesses “Obamacare” and “Trumpcare” and makes some recommendations — including a ban on pharmaceutical ads. He also discusses what moves by Amazon, Walmart and other corporate giants may mean for the healthcare industry. Congressman Lou Correa of Santa Ana has represented his constituents on the county, state and now federal level. He’s known as a moderate Democrat who has worked with Republicans, something increasingly rare in today’s highly partisan environment. This week, Correa talks with Rick Reiff about whether moderates are a dying breed and sounds off on President Trump, immigration, the border wall and sanctuary cities. Todd Spitzer has been a popular vote getter as a state Assemblyman and Orange County Supervisor. Now he’s running for district attorney. Why does he want to be Orange County’s prosecutor? And what are his beefs with incumbent Tony Rackauckas? Spitzer discusses the county’s jail informant scandal and his citizen arrest at a Wahoo’s Fish Taco. He responds to critics who question whether he has the temperament and judgment to be the county’s top prosecutor. Rick Reiff talks to State Sen. Josh Newman, who criticizes the recall effort launched against him after voting for a car tax, arguing he’s a centrist Democrat not an extreme leftist ideologue. Rick Reiff talks to John Moorlach on PBS So Cal and Cox about his time in the California legislature and its focus on President Trump along with how to get to a solution on immigration reform. A new gas tax to fix California’s crumbling roads has angered taxpayer groups, sparked a GOP movement to take back legislative seats and launched a gubernatorial bid by Huntington Beach Assemblyman Travis Allen.